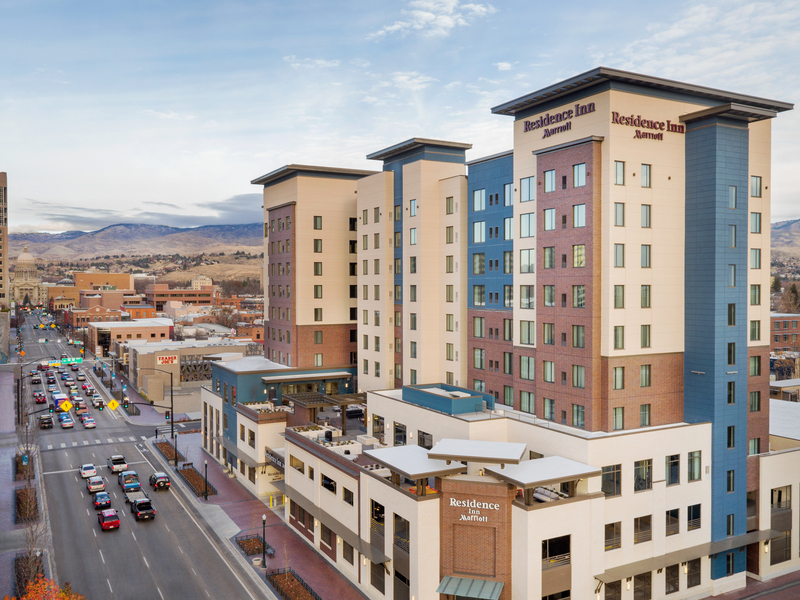 Pennbridge Lodging opens the 10 story, 185 room Residence Inn by Marriott Downtown City Center in Boise, ID. This upscale property is owned and managed by Pennbridge Lodging. Make yourself right at home when you stay at Residence Inn Boise Downtown/City Center. Boasting a prime location in the heart of downtown near popular destinations such as Boise State University, Boise Centre and the Idaho State Capitol building, our hotel makes it easy to sightsee or conduct business in western Idaho. After arriving in your apartment-style suite, catch up on some work tasks using our free Wi-Fi and ergonomic workstations. Prepare a delicious meal using your room’s full kitchen, or simply stop by our free breakfast buffet for some of your favorite morning classics, served daily. In the evening, our lobby bar offers a broad selection of handcrafted cocktails that can be enjoyed on our third-floor roof deck patio. Want to work on your exercise goals during your stay? Get the blood pumping at our 24-hour fitness center or go for an invigorating swim in our indoor pool. No matter how long you’re in the Gem State for, you’ll savor every minute you’re at Residence Inn Boise Downtown/City Center.